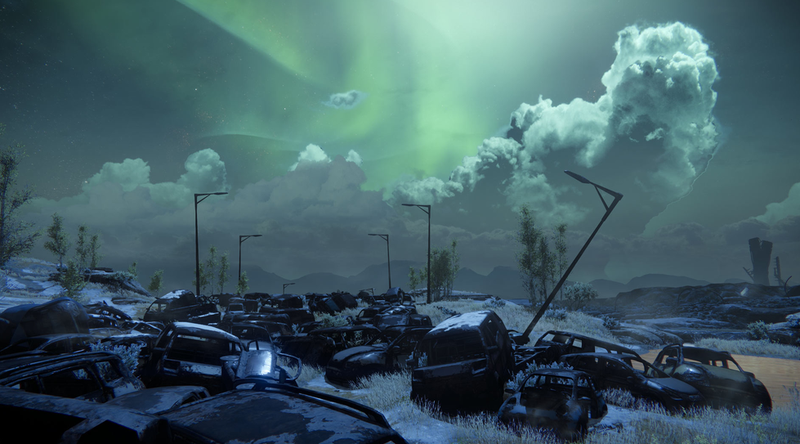 Destiny players spend the entire game fighting against something called "the darkness." But does anyone really know what the darkness actually is? The Darkness is not some kind of tangible force for evil - it's just the inevitability that all life will come to an end, and the stars will eventually burn themselves out. "All of this happened by the one law, the blind law, which exists without mind or meaning. It's the simplest law but it has no worshippers here (out there, though, out there - ! )Ghost Fragment: Darkness 3"
"The Hive have seen thousands of worlds taken by the Darkness..."
Perhaps they know a way to make themselves part of the song, part of something vast and burning that rots and peels into ash but never ever ends. Ir Yut, the Deathsinger - Exalted Hive Grimoire"
Out of the all the enemy races, the Hive are the ones most often equated with the Darkness, or assumed to be direct servants. It's easy to understand why, given their general appearance, but I don't believe they serve the Darkness anymore than a predator "serves" natural selection. Notice that Dinklebot specifically uses the word "seen" - not "helped" or "served" or anything like that. They've simply observed it happening. Thousands of years ago, the Hive may have been a race not much different than us. They saw the Darkness coming, saw life and the light of stars extinguished forever. So what did they do? They embraced it. Oryx, their King, along with the rest of the Hive "gods", learned how to twist their race into the abominations that they are now. They made themselves into creatures of death, and are now a literal army of the undead that marches upon all other living things. They don't serve the Darkness as much as they simply have reverence for it's inevitable victory over life. What does House Greyjoy say in Game of Thrones? "What is dead may never die"? I think that's the mentality of the Hive. They're a death cult. And that's why Toland was so obsessed with the Hive. Because he understood the law of the universe, and knew that the Hive had learned to make themselves part of death and yet not die. They had a way to survive the Darkness, and Toland wanted that forbidden knowledge.